Update 7/12: The MIUI Team has released a statement on the situation. Read more below. Xiaomi has long been a developer favorite of the community here on XDA. The Xiaomi Redmi Note 3 forums have been some of our busiest ever, and pretty much every large ROM has been officially released for it. Of course, the successors have been incredibly popular too, and Xiaomi has, for the most part, embraced this community. 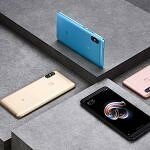 Now they’re implementing a change in MIUI 10 Global Beta 8.7.5 on the Xiaomi Redmi Note 5 Pro which enables Android Oreo‘s anti-rollback protection. The only current way to avoid it is to unlock your bootloader and flash another ROM. This has to be done before upgrading. The problem lies in the fact that many have upgraded without knowing that this anti-rollback protection was enabled, as the announcement came after the update was released. A number of users have already said that they tried to downgrade their Redmi Note 5 Pro not knowing this restriction was in place and have bricked their devices. Android Oreo’s rollback protection prevents device owners from downgrading their device as a security feature. This is because an attacker could downgrade to an older security patch version and attack your device that way. It’s inherently a security feature, but can be annoying for device enthusiasts and power users. That’s why Google has implemented a way to disable it by default, but that option is, so far, nowhere to be found on Xiaomi devices. We can only hope that those with bricked devices will be able to revive them somehow, as it’s a completely unfair situation to be in for those who attempted to downgrade before the announcement came. It’s certainly a great feature for the 99% of smartphone owners, but for enthusiasts, it can be dangerous if not disabled. We can only hope that Xiaomi will at least allow those with broken devices to fix them and offer up a way of disabling it in MIUI 10 in the future. The MIUI Team released a statement on the MIUI forums. They confirmed the anti-rollback protection was for “system stability” and “security of the device.” They are urging users to not downgrade if they have already updated to MIUI 10 Global Beta 8.7.5. If you have already bricked your device by doing so, they are telling people to go to the nearest Mi service center for help. We don’t know exactly what they will do for you there, but hopefully, they can fix things free of charge.